Superb piano sound and performance combined with a slim and elegant appearance, the new Yamaha YDPS52 is the ideal centrepiece for any musical home. With a smooth Graded Hammer action and synthetic ivory key tops, the YDPS52 feels instantly familiar to the touch, inspiring beginners and seasoned players alike. The built-in 40 Watt stereo amplification system will fill any room in the home with stunning sound and uses Yamaha’s Acoustic Optimizer system to deliver every note with tone, volume and clarity. The upgraded 192 note polyphonic Pure CF Sound Engine features the latest generation of Yamaha's superior sounds together with studio-quality reverb, effects and new enhanced damper resonance, adding to the subtle nuances which make the YDP-S52 so realistic. The keyboard can be played in Dual Mode, where two voices can be played simulta- neously, or set to Duo Mode where the keyboard is split into two identical zones for teaching. There’s a built-in two track recorder for capturing your musical ideas and com- positions and a USB to Host interface for connection to a PC. There's even an App for your iOS device to give you intuitive, touch-screen control over your piano sounds and settings (additional connecting cable required). 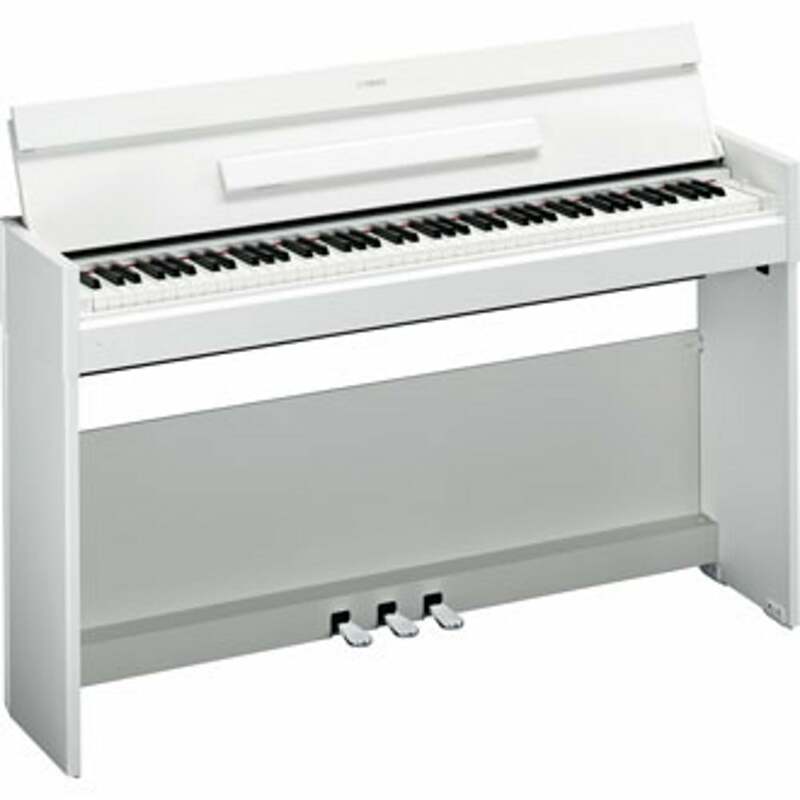 Available in black or white, YDP-S52 is completed by an elegant “soft fall” lid for when the piano is not in use.